An aging actress faces uncomfortable self-reflection as she prepares to star in a revival of the play that launched her career — but this time as the older member of the central couple. 89%/64% on Rotten Tomatoes. Currently streaming on Netflix. 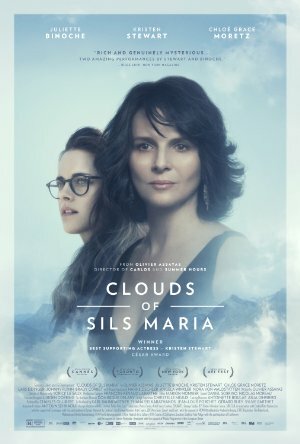 I really like two things about this movie: the first is Kristen Stewart's performance. I think if someone questioned whether she was Actually Good at acting I would point them to this movie. The second thing is how the film walks an interesting line on whether or not Stewart's character even exists. It's not exactly a Shyamalan-level twist—she does, like, touch physical objects and engage in conversations. She's not a hologram that only Binoche can see, but I don't think it's a Fight Club thing either. There might be a real person there who struggles to be seen as a real person, but who is rendered in the film as Binoche's character seeing only a kind of different less real thing. It's both, like the idealized self of the past is someone you can have a bad relationship with, a relationship that might have to dissolve if you want to keep going forward.